For the past 2 years, teens from Albany High School, Albany Leadership Charter High for Girls, and Green Tech High School came to Radix after school and learned hands-on how to run a micro greens operation. The cycle of soil was taught as compost was sifted and soil prepped. Students learned how to cultivate plants by starting seedlings and transplanting them into beds, and planting and harvesting micro greens. 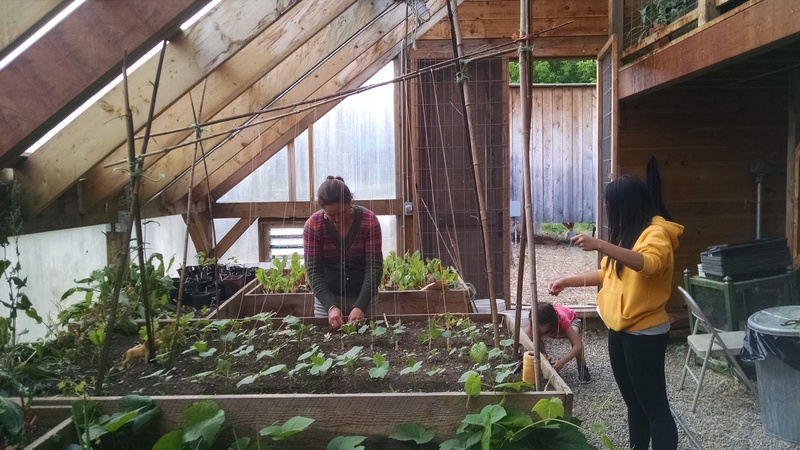 They learned accounting by participating in the weekly Farm Share’s bookkeeping. This summer we will welcome our second crew from the Albany Summer Youth Employment Program. We have an exciting mix of workshops, field trips, and hands-on activities planned for them. If you know youth who would like to work with us, we have stipends available. Please contact stacy@radixcenter.org!